Hey where the boys at!? There are some killer #guybosses in the city, so we have decided that the first monday of every month we will dedicated to Man Crush Monday. 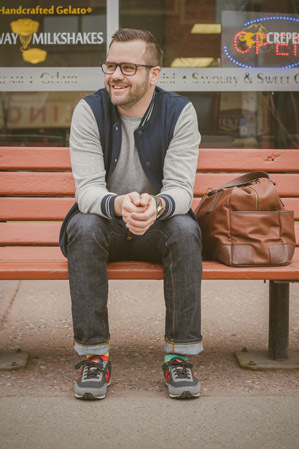 First up is Adam from Friday Sock Co. – studly husband to Leanne from Little Me Paper Co (one of the YYC Girl Gang founders) and mastermind behind the art of mismatched socks. Adam designs every single pair of socks to perfectly unmatch the other. Wearing two different socks never looked so hip! 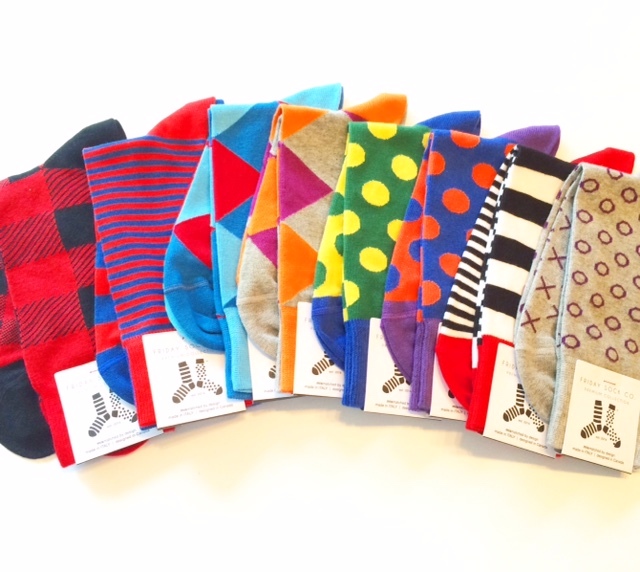 Adam – FRIDAY SOCK CO. 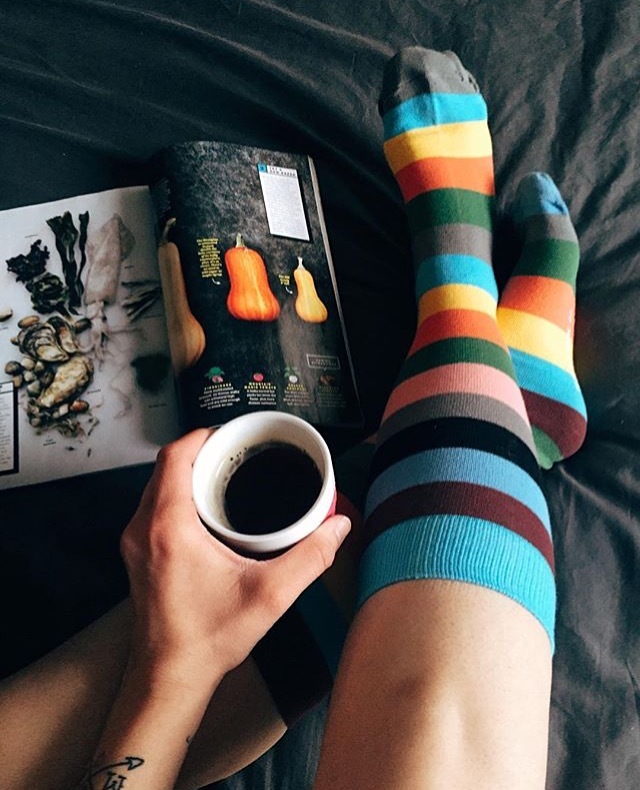 I design mismatched matching socks for super cool people who want to express their quirky personalities. I first had the idea in late 2013. I started researching and making things happen by mid-2014. I officially launched January of 2015. I started by sketching out my ideas, researching material compositions, and getting samples sent from a variety of manufacturers. From there I took a chance and made my first order. There was obviously a lot more to it than that, and a ton of challenges at the beginning, but that’s the Coles notes version. My dream for the future is to continue to design, and continue to improve the product. It’s more important for me to grow a brand than it is to sell a bunch of socks. Don’t get me wrong, I also hope I sell a bunch socks, but my dream is to grow a brand that represents a part of my personality and appeals to an audience who get what I’m doing. My favourite social media platform is Instagram. I like that it’s super visual. I’m not a big tweeter. First I sulk… Then I tell my wife I’m quitting. Then I sulk some more. After that I take a step back and try to look at the bigger picture. I find it helpful to look back over a long period of time. Am I closer to my goal than I was six months ago? Is there an example of another time I overcame an obstacle? Helps me put everything in perspective. I’m a pretty open book so that’s tough. I moonlighted as a stand up comedian for about 6 years. I’d like to have complete control over time. That would be the ultimate.